Maintaining a healthy, nutrient-rich diet contributes to a healthy lymphatic system. Your lymphatic system keeps your body fluids balanced and helps fight infection as part of your immune system. The lymphatic system includes lymph vessels, lymph nodes and lymph fluid. The vessels carry fluids through your body, while the nodes contain white blood cells that fight infection. A lymphatic system that does not function properly can result in serious health complications. Consuming specific foods may help support a strong lymphatic system. According to an article by Gloria Gilbere, N.D., presented to the American Holistic Health Association, foods rich in potassium can help support and build a healthy lymphatic system. Potassium-rich fruits and vegetables include bananas, broccoli and sweet potatoes. In addition, wild seafood such as salmon is a good source of potassium. Eating healthy foods such as these assists the flow of lymph in your lymph vessels, according to the American Holistic Health Association. 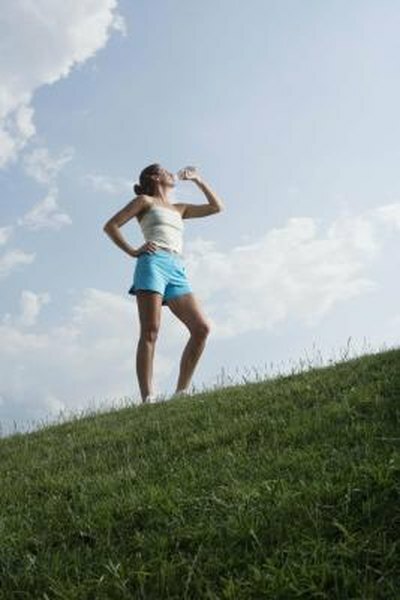 Drinking a enough water each day can help you maintain a healthy lymphatic system. The lymphatic system requires a sufficient supply of liquids to function at its optimum level. Aim to drink a minimum of eight glasses per day for good health. A properly functioning lymphatic system requires an adequate intake of healthy fats. Good sources of healthy fats include nuts and seeds, such as flaxseeds, pumpkin seeds, almonds and walnuts. Other good sources include avocados and fatty fish, such as salmon, rainbow trout and sardines.